We met Loyalsea in 2017. 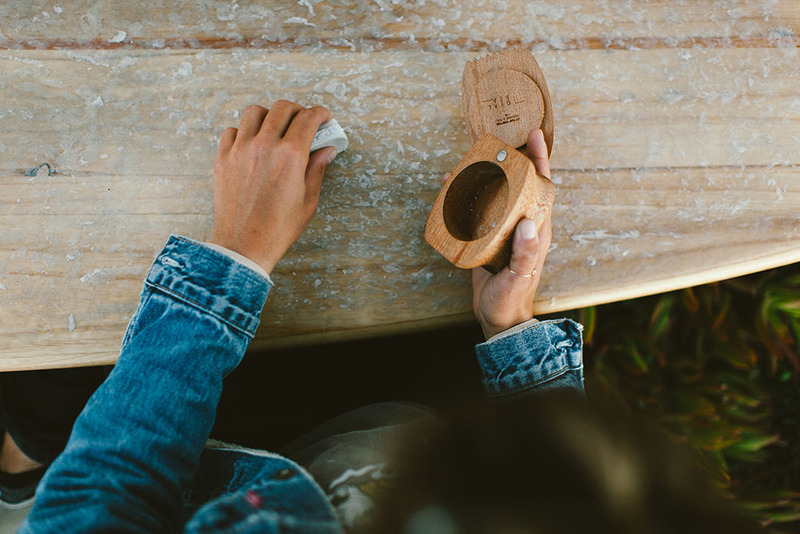 The project celebrates the diversity in surf through empowering stories and imagery for media and brand partners. 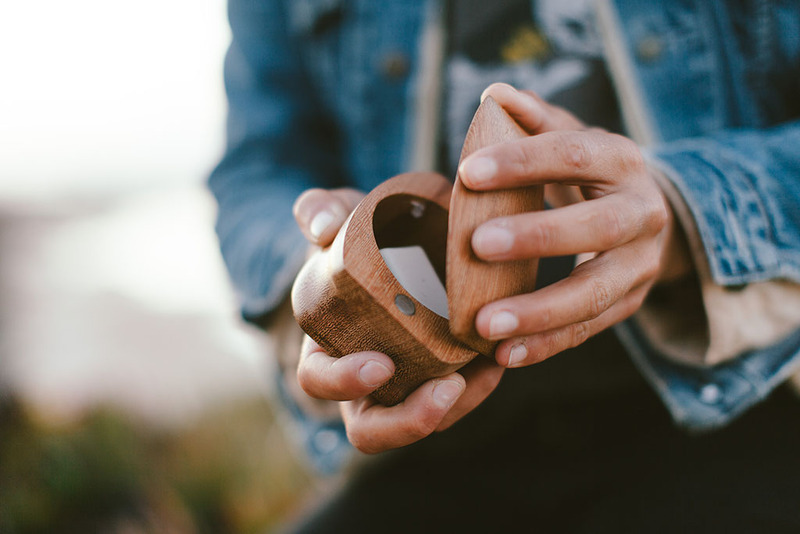 The team works with an engaged community of creators and individuals such as surfers, photographers and nature lovers. 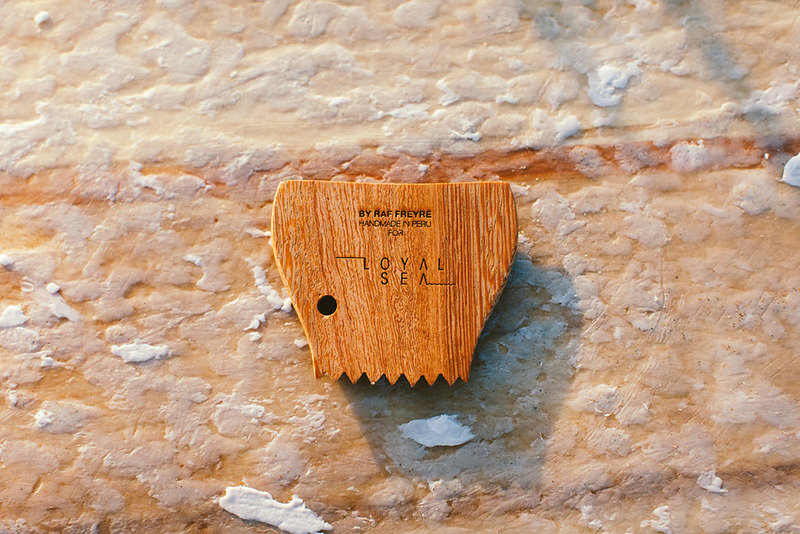 For those creators, Loyalsea wanted a special gift that connects them with their favourite pastime – surf – and nature. Surf has a particular tool for an almost ritualistic moment: the waxkit. This small gadjet must appear right at the transition from land to water. Putting on wax and preparing the board is an action that, for Loyalsea, deserves special treatment. We believe that design can give a new sense to moments like this, it can reestablish the connection between self and nature, and enrich our experience of time. It was an interesting challenge to design a waxkit for their community. 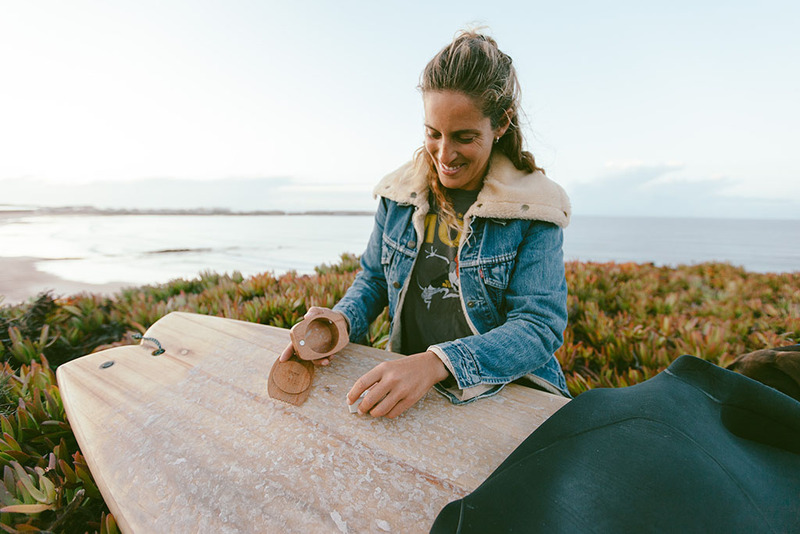 We share with Loyalsea founder, Katharina Kieck, our love of the sea and the knowledge that through design we can have a positive relation with nature, avoiding the use of plastic. 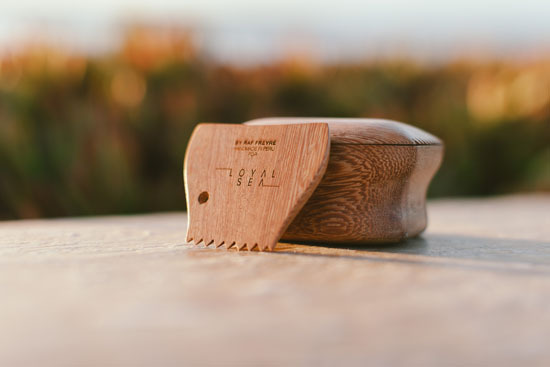 This is why the waxkit is made from hand-carved huayruro wood, a tree native to peruvian Amazon, and the accompanying comb has a braided hemp cord. The wax-box closing system has two small embedded magnets that can keep the lid tight when on the go, and can open easily by sliding sideways. For the studio, this collaboration with Loyalsea was especially rewarding, and it is part of our ongoing exploration on our relation with water sources. Water is a fundamental element in our life.